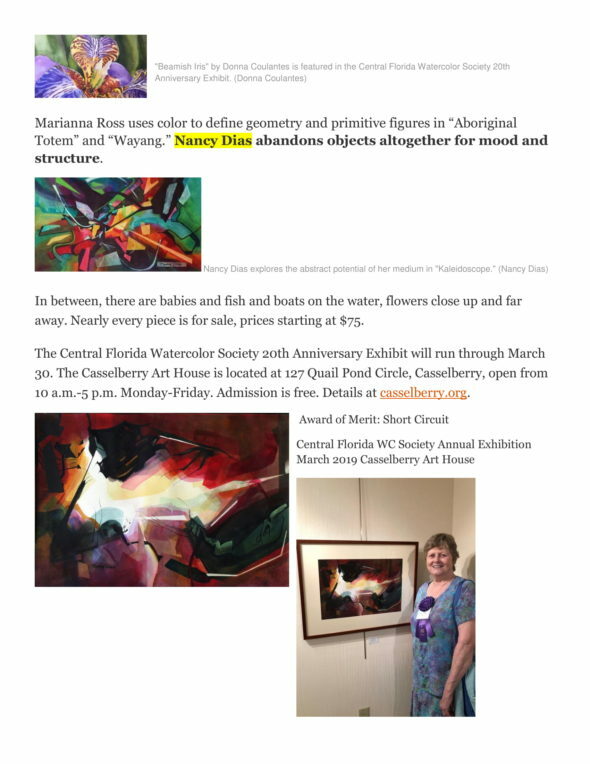 Nancy Dias’ painting, Exploration, will be shown at the 45th Annual Florida Watercolor Society’s exhibition this fall in Ocala FL. 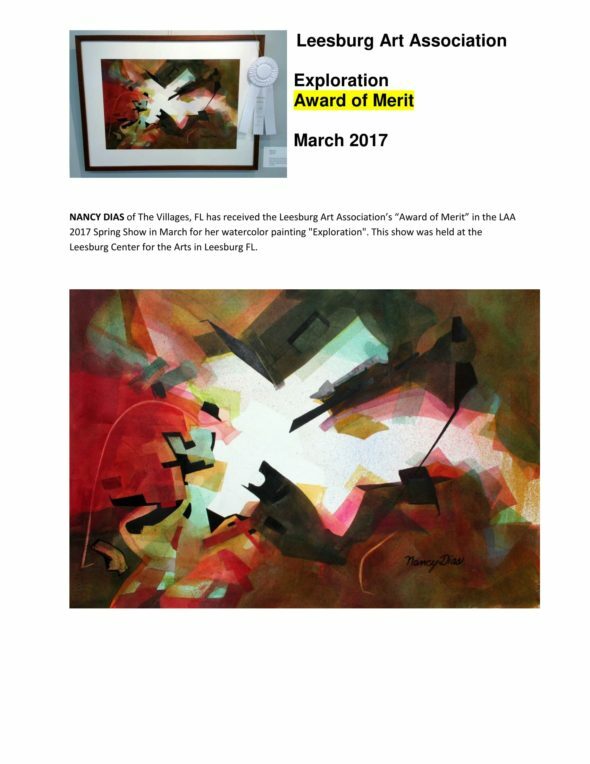 NANCY DIAS of The Villages, FL has received the Leesburg Art Association’s, (LAA), highest honor, “Best Of Show” in the LAA 2016 Spring Show in March for her watercolor painting “Discovery”. 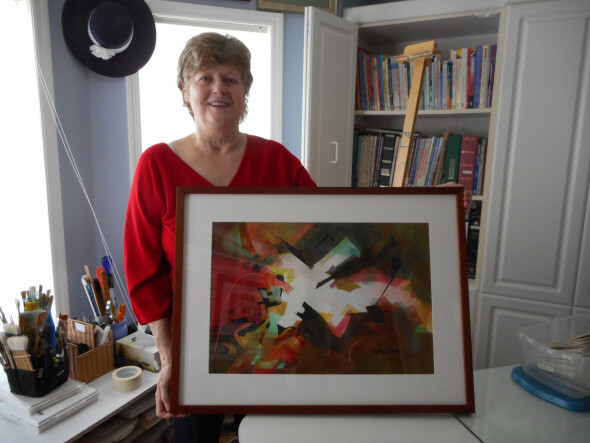 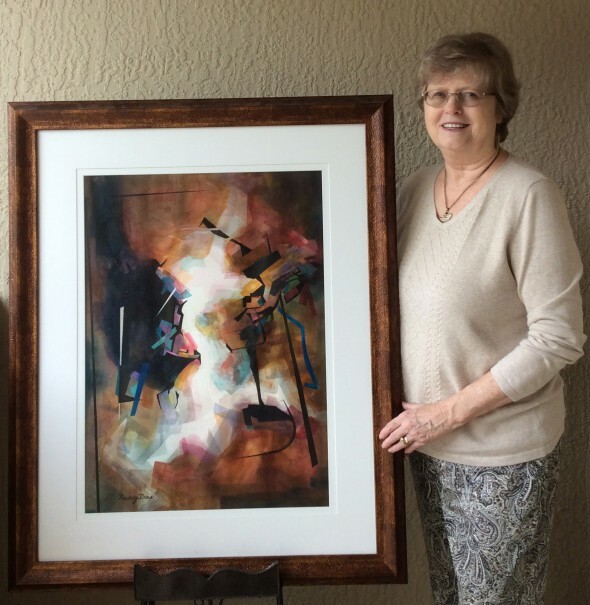 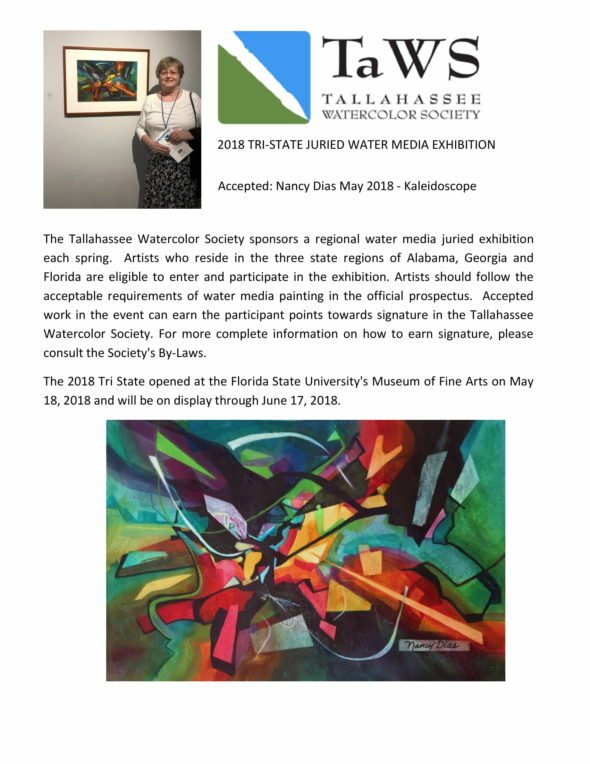 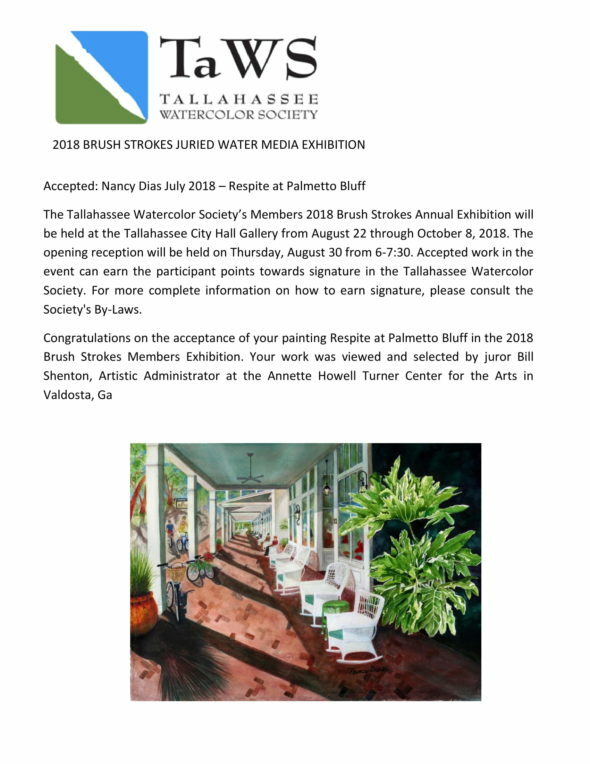 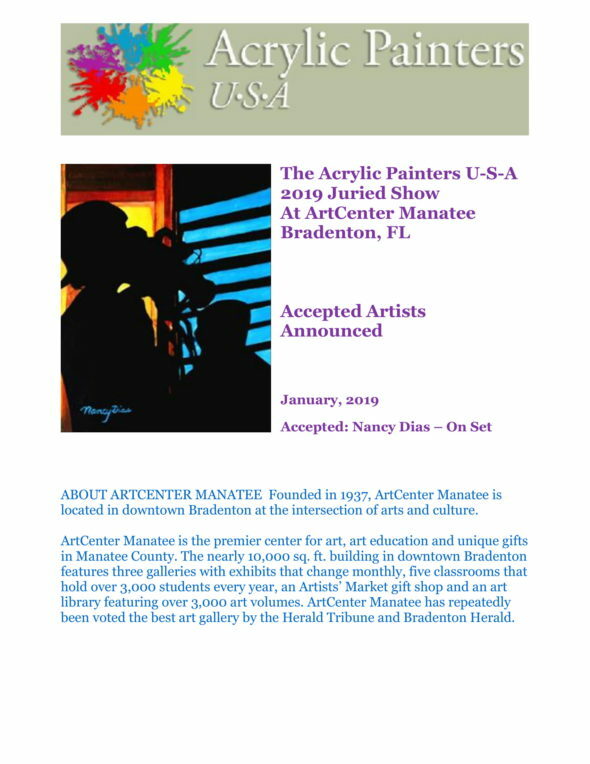 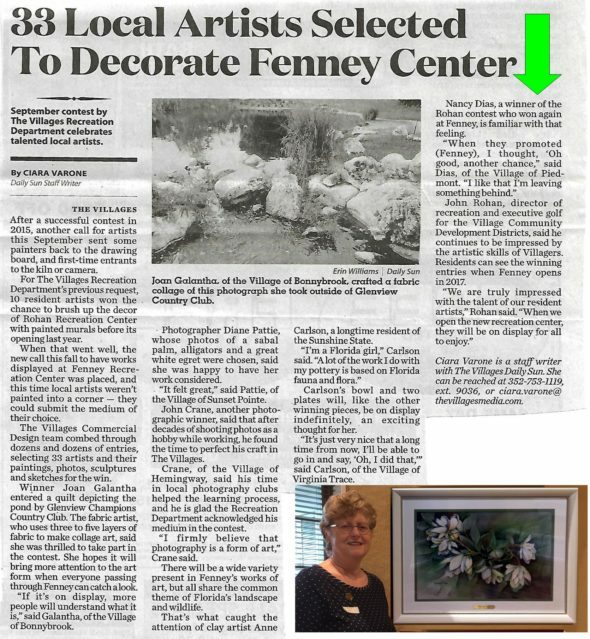 This is the second major award Nancy has received for this painting; she won the top honors from the Florida Watercolor Society Online Show in December 2015. 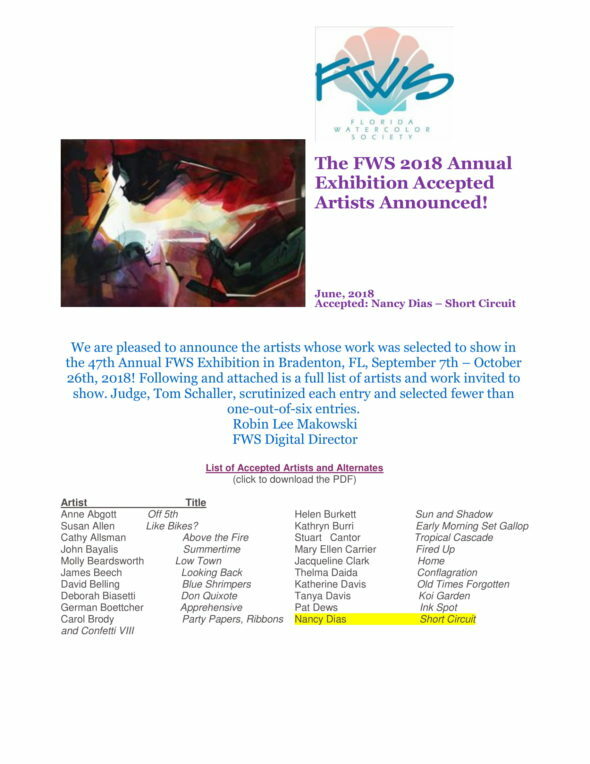 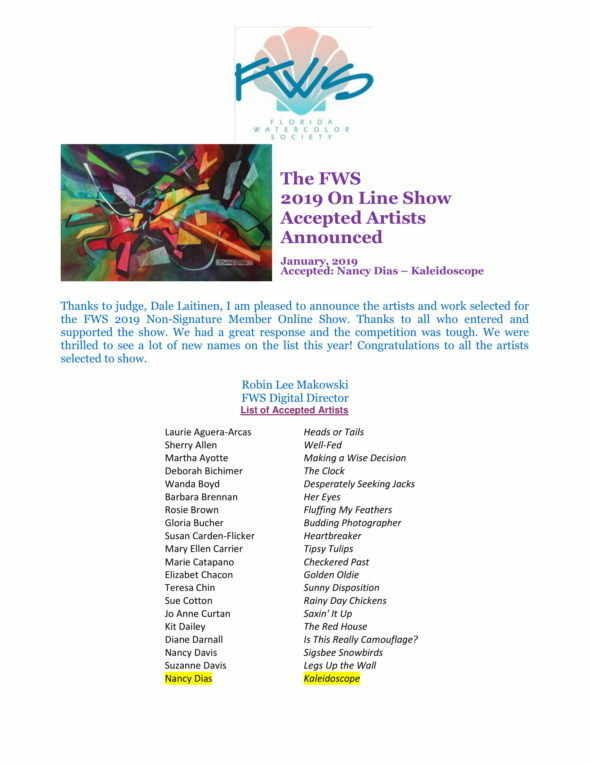 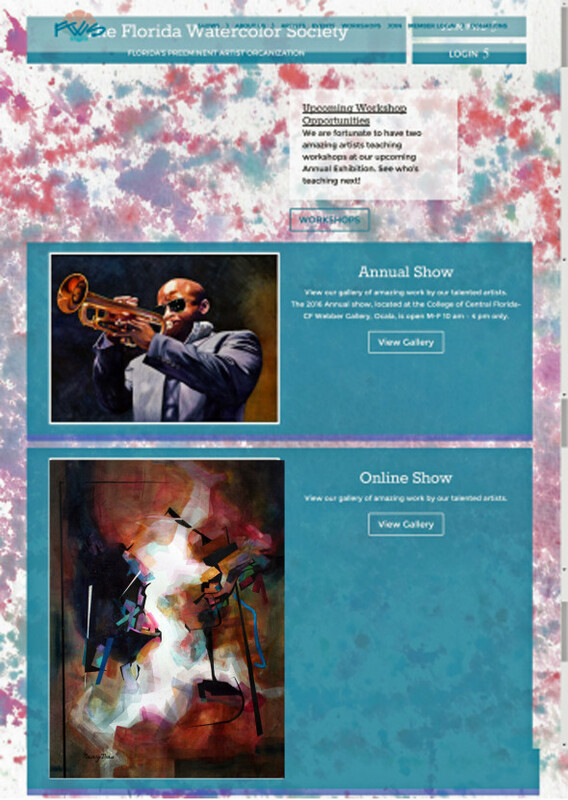 The Florida Watercolor Society is pleased to announce the 2015 Onine Show is now available for viewing! 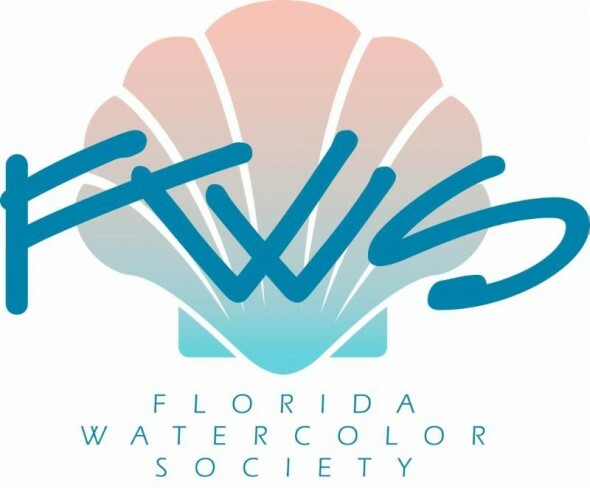 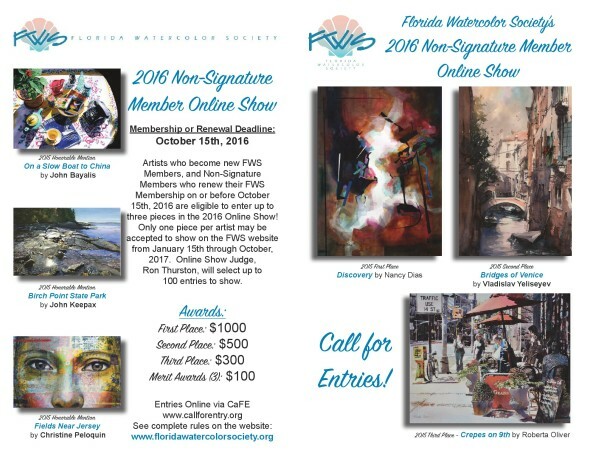 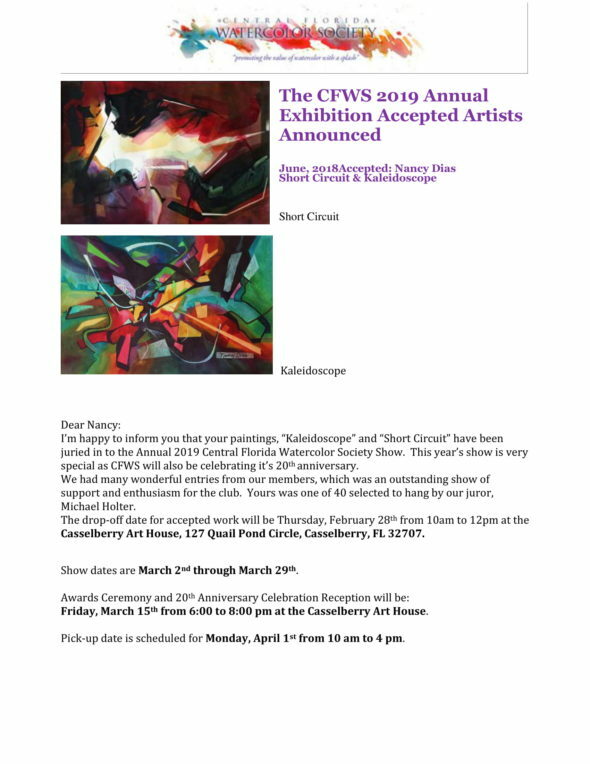 Each year, the non-signature members of the Florida Watercolor Society are invited to enter the Online Show. 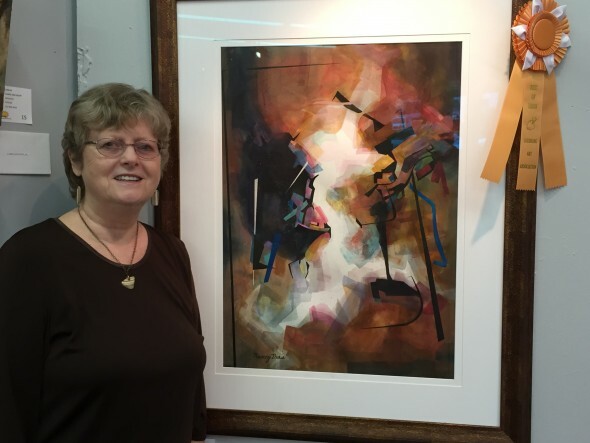 Judge Jean Pederson selected the pieces from the submissions and chose the Award Winners.